Urban Muser: happy new year, happy monday! happy new year, happy monday! I hope you all enjoyed ringing in 2012 over the weekend. Whether you were out decked out in sparkles and out partying or chose to spend a quiet evening at home in your PJs, I hope it was everything you wanted. ...and then we burned the little slips of paper in a coffee can outside with a beautiful view of the George Washington Bridge and a gorgeous moon in front of us. 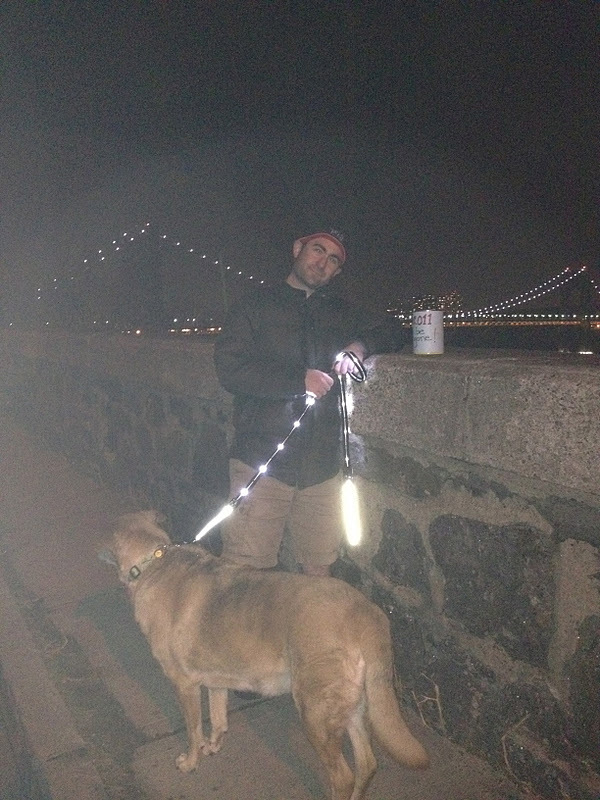 And of course, Willow was there--with her flashy leash that someone gave us for Christmas! It felt good to let the past go, and to look forward to a new year on the horizon. Do you have any big plans for 2012? 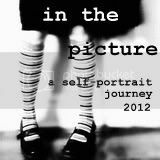 If you are looking for a fun photo project, you may want to join me here at my new community self-portrait journey. Or if you are into mobile photography, join me here at "Me & You 52"--our theme this week is "gathering". That looks like a great way to celebrate the new year - we had a pretty quiet night too! I think this would be a wonderful New Years Eve tradition! I love low key New Year's Eve. They're the best kind :) And tell Willow we love her new leash! What a great idea!! Love it! I may do that every time I want to "leave something behind"! Looks like a great idea, U.M. - Very cool! And a very happy New Year to you and your family, too! What a great tradition! Best to you and yours this new year. I like the idea of letting the past go up in flames! We had a quiet, peaceful New Year, also. Wishing you a wonderful 2012!!!! Oh My Gosh... what an awesome way to send 2011 back out into the universe and welcome in 2012. Love it!! I love the way you burned out the old before you rang in the new. I have only put up one "selfie" but was so inspired by what everyone else came up with. Seems like a pretty cool group.